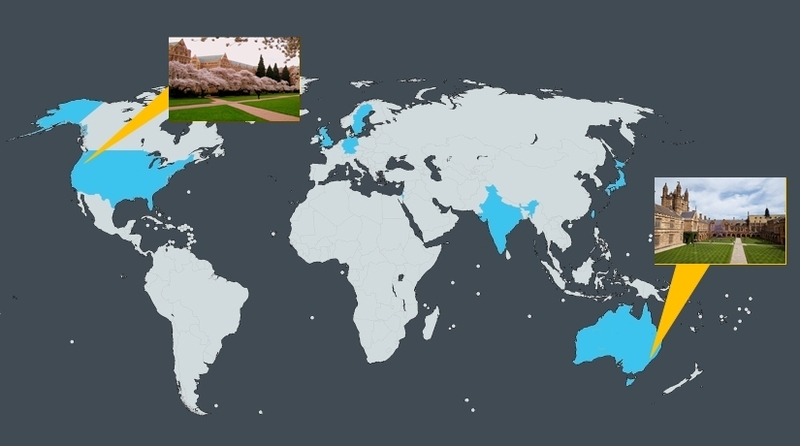 A world map of GROWTH institutions including our new partners - the University of Washington, Seattle and University of Sydney, Australia. Four members from the University of Washington will join the GROWTH team. Eric Bellm is currently a Research Assistant Professor and the Alert Production Science Lead for the Large Synoptic Survey Telescope (LSST). Eric is an expert in the development of large astronomical surveys who continues to be heavily involved in the recently launched Zwicky Transient Facility survey – GROWTH’s primary discovery engine. 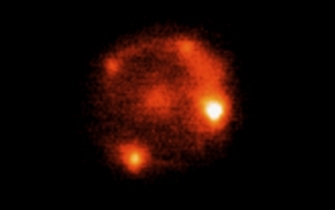 Dr. Melissa Graham and Dr. Zach Golkhou will each be involved in the follow up observations of supernovae at late times and follow up of transients potentially associated with gravitational wave events. Andy Connolly, is the director of the Data Intensive Research in Astrophysics and Cosmology (DIRAC) Institute at UW brings extensive knowledge in developing algorithms and software for large datasets. He will also share educational resources with the GROWTH community of educators and students. Another set of students located almost diametrically opposite in the world on the campus of the University of Sydney will also have the opportunity to experience global research via our GROWTH SURF. The university is now GROWTH’s first partner located in the southern hemisphere after Tara Murphy, an associate professor in the Sydney Institute for Astronomy joined the GROWTH collaboration. Tara worked closely with the GROWTH team of radio astronomers during the radio follow up of the GW170817 event securing valuable data of the neutron star merger on the ATCA (Australia Telescope Compact Array) telescope. The GROWTH education community is particularly excited to welcome Tara who has extensive teaching experience having developed online courses and outreach activities. She is also the founder of Grok Learning – an online platform to teach coding to high school and university students. 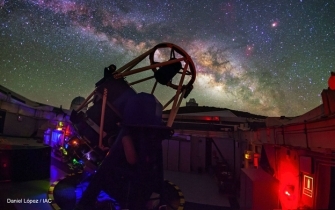 "Multi-messenger astronomy is by nature an extremely collaborative endeavor bringing together a diverse set of astronomers and facilities around the globe. GROWTH is a true reflection of this new mode of conducting astronomical research and we are thrilled to see our team expand both in size and collective expertise" – says Mansi Kasliwal, GROWH Principal Investigator and an assistant professor of astronomy at Caltech.